In order to be a professional player of Shogi you need to break through specialized agencies” Syoreikai “. 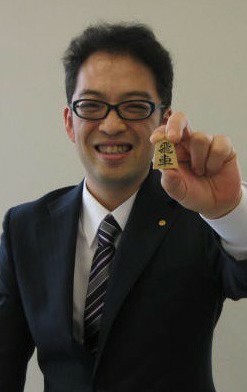 Children who are blessed with Shogi ‘s talent enter this specialized agencies from all over Japan. They are competing with rivals and aim to step up while strengthening the technique. In the usual case, only 4 people can be professional player in a year. League game to be held twice a year”3-dan League” is the last obstacle, and those that within 2nd place in this league game can be “4-dan” which is a proof of a professional player. There are severe age restrictions in the “3-dan league” where the elite of about 20 people participate each time.those who were unable to break through the “3-dan league” by the age of 26 must leave ” Syoreikai ” . Dreams from boyhood are prevented by age barriers. . It is cruel, but in a way this rule is pure. Many people give up on professional roads. 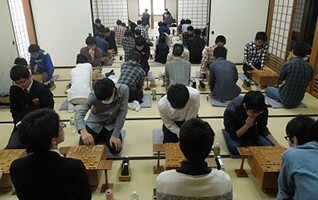 It is also a fact that the value of professional shogi players is increased by their severity and responsibility is born. However, some people do not give up their dreams. They believe in their abilities and tell this while pledging loyalty to the gods of Shogi. It is easy if you only wish. However, it is very difficult to rewrite the rules. The realization of dreams requires great patience and effort. Furthermore, in order to change the rules people’s empathy and a little fortune are necessary. Amazingly, I know two players who finally make a miracle and became professionals. Next time, I would like to write about “kenji Imaizumi-4dan” which is one of them.